I’m not sure if I was more excited for a 3-day weekend or happier that this “short” week is almost over! So as I said, I love college football and have always been a huge fan. Last Friday night was like my Christmas Eve – making Saturday my Christmas Day! I wake up early and dance around singing “It’s College Gaaaame Day!” – which I used to do to wake up my friends when we’d spend Labor Day weekend together. So this year, I just sent them all a voice recording so they didn’t miss out. It was nice getting to annoy them without getting their glares of death. Well, after watching my team’s game early Saturday at the bar and eating some not so healthy football food, I decided that football food needed a healthy twist on Saturday night. 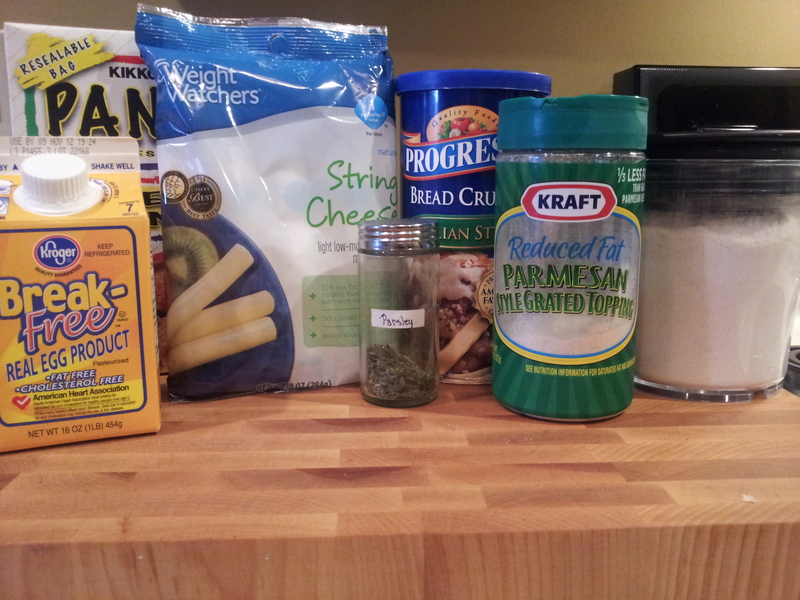 Enter Skinny Faux-Fried Mozzarella Sticks. 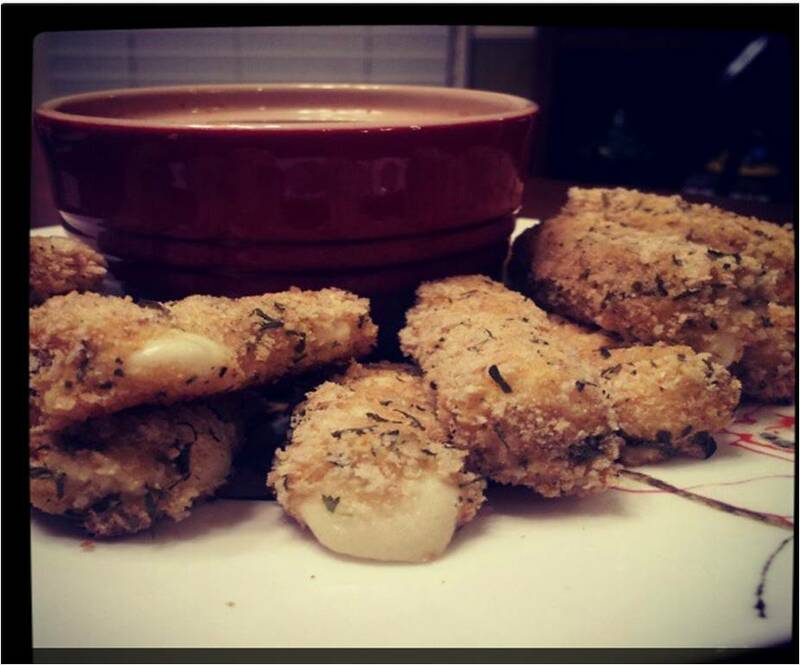 Who (besides my crazy sister) doesn’t love delicious, melty, fried cheesy goodness dipped in marinara sauce? Cut cheese sticks in half. 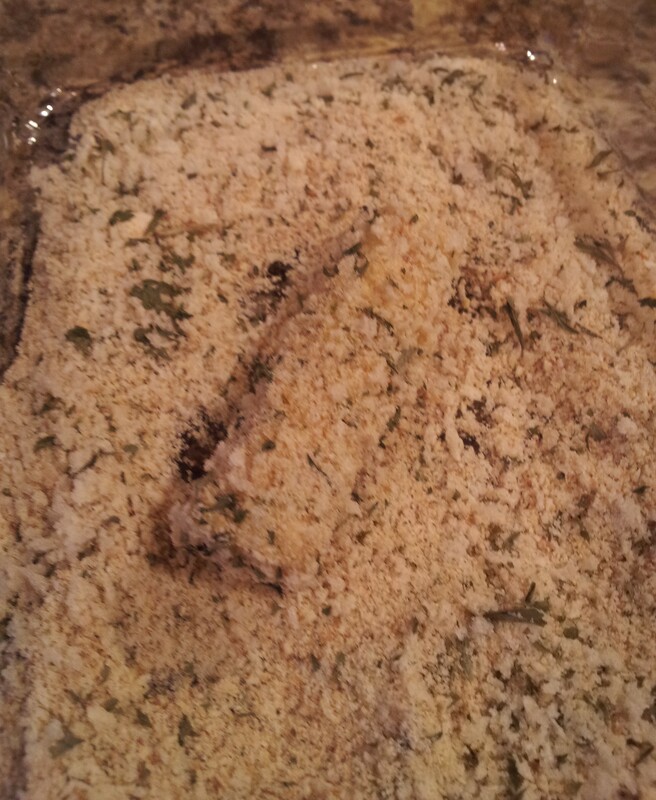 In a medium bowl, mix together bread crumbs, Parmesan, parsley and garlic salt. Set up your assembly line. First, a small bowl with flour. Next, another small bowl with the egg. 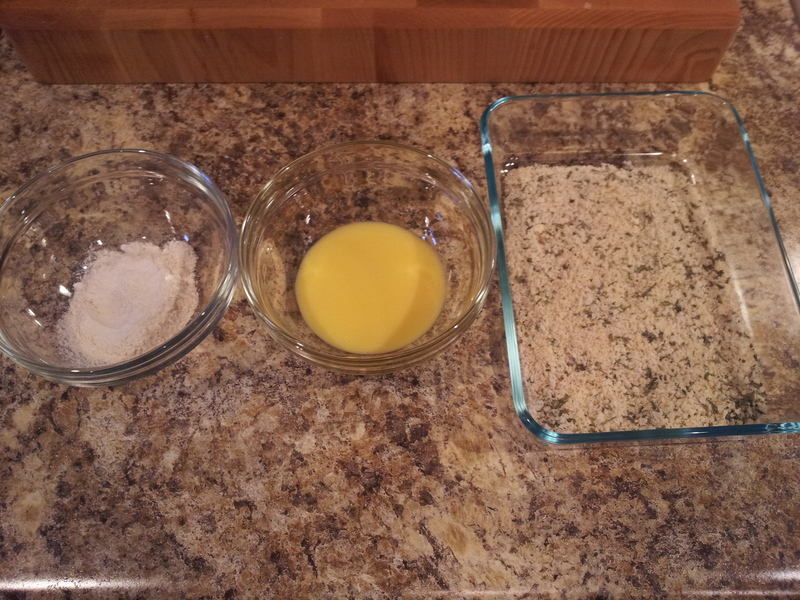 Then the bread crumb mixture. Lastly, a small pan or dish lined with wax paper. 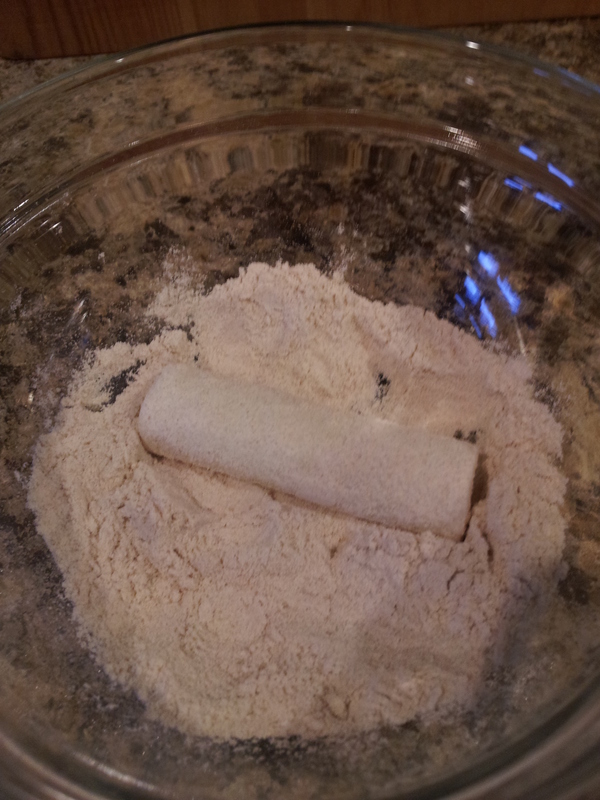 Roll cheese in flour, coating lightly. Then dip in egg, letting any excess drip off. 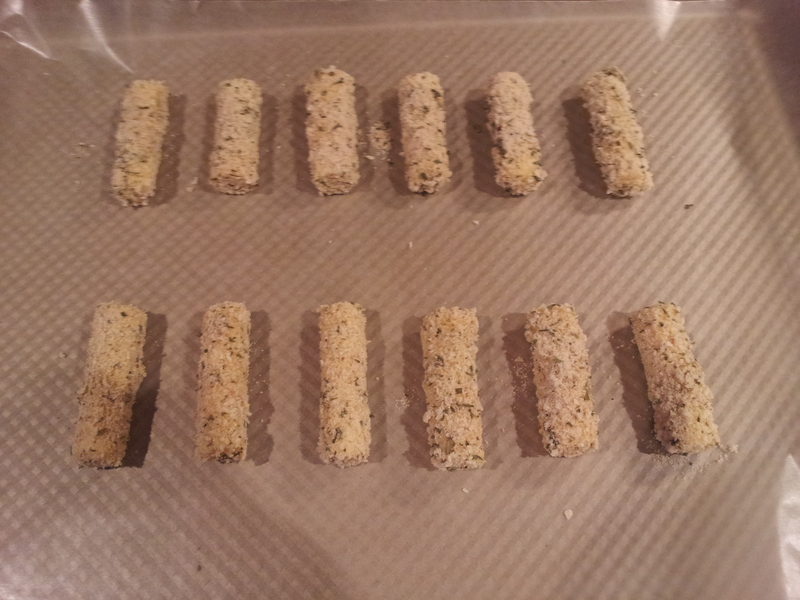 Then press cheese into crumb mixture, coating well. Then place on wax paper. Repeat until all cheese is coated. 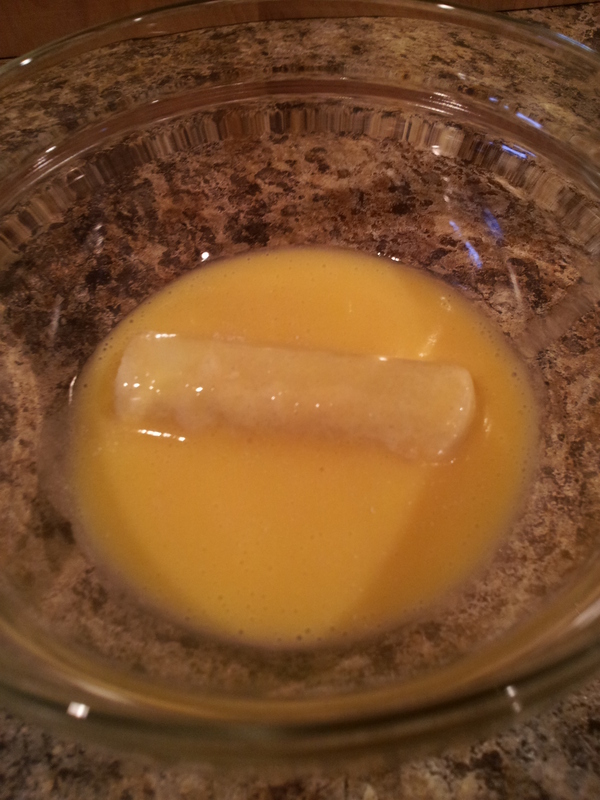 Place coated cheese sticks in the freezer for at least 30 minutes – otherwise, you’ll end up with a melty mess! I also think this step make this recipe awesome for company because you can do all of the “work” ahead of time! 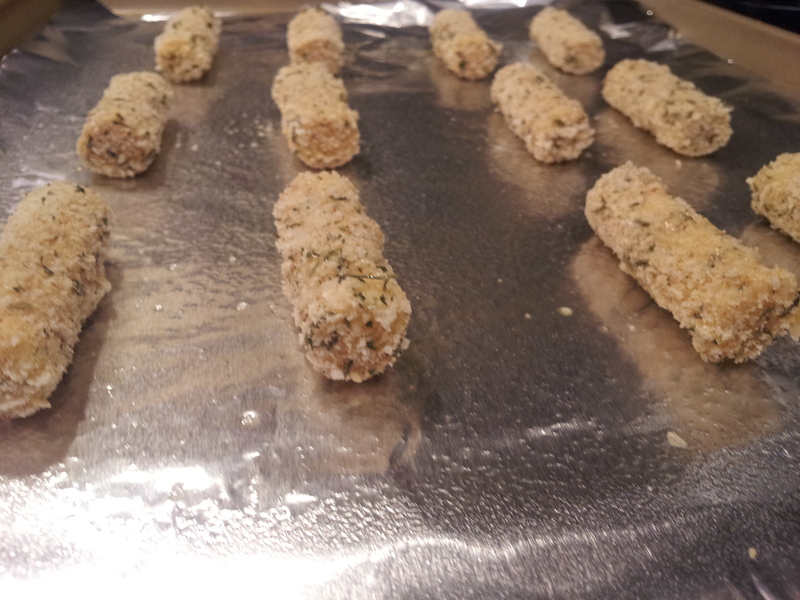 When you are ready to bake, move your mozzarella sticks to baking sheet lined with lightly greased foil. Spray tops lightly with olive oil and bake for 5 minutes. 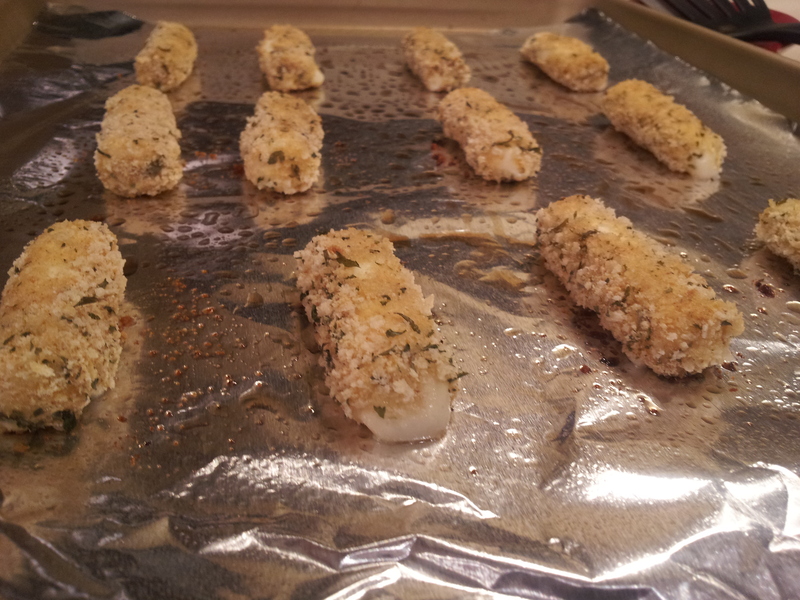 Remove from oven and roll mozzarella sticks and bake another 5 minutes. Heat your marinara sauce in the microwave until warm. 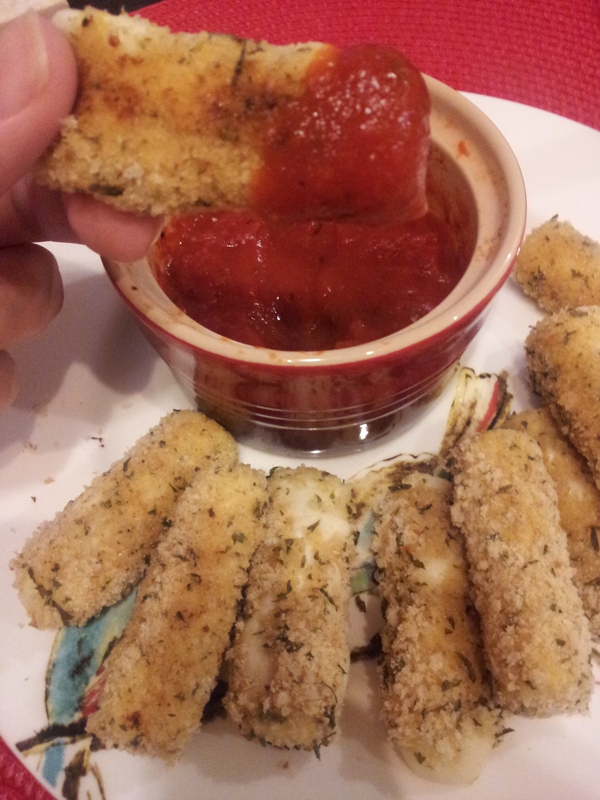 Serve mozzarella sticks warm with marinara sauce for dipping. Happy Friday everybody – have a great weekend!